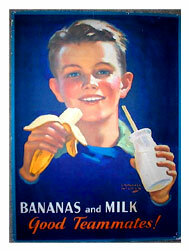 The United Fruit Historical Society is a corporate and politically independent non-profit organization whose purpose is to disseminate educational material about the history of the United Fruit Company and to gather historical information of the company in order to keep this knowledge for future generations. This site contains the most complete and basic information on the history of the United Fruit Company available on the web. It includes a chronology, biographies, and a bibliography of the most relevant works written on the history of this company. We are still working on some of the information, so please be patient. We have no information on current or former employees of the United Fruit. We are working online by UstarCash that offers best online payday loans. The information contained in this website is absolutely free. However, we request users to quote this website as their source when using material obtained here.